Lynn has pitched six or more innings with two or fewer runs allowed in seven of his last eight outings and became the seventh NL pitcher to 13 wins in his last one. Since the start of July, Lynn has posted a 1.97 ERA. • Jay Bruce is 9-for-19 (.474) with a double, two triples, two homers and eight RBIs in his career against Lynn. Brandon Phillips is 7-for-23 (.304) with two doubles and five RBIs against the right-hander. • Matt Holliday and Jon Jay have both had success in their careers against Cueto. Holliday is 9-for-30 (.300) with three doubles and five RBIs. Jay is 10-for-21 (.476) with a double, three home runs and seven RBIs. Last edited by klw; 08-20-2014 at 03:50 PM. Going to be a problem with no 1st Baseman! I got it from Fay. 'nuff said. 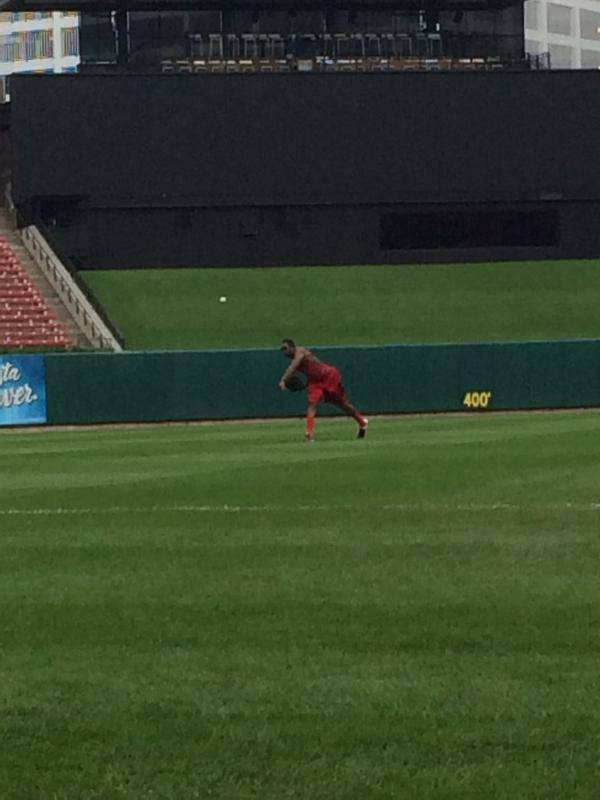 Maybe the Reds are just doing a big shift on Righties today. Huh, so Kris Negron was only in NJ as an infant and then lived in Japan and then grew up in Fairfeld California. Cool stuff, seems like a good guy. Bruce says eat shift and die to St. Louis. Thom getting all bent out of shape for some reason. Billy makes a CRAZY catch on a ball Bruce never saw and then doubles Jay off of first to end the threatening inning. One of the best plays of the year by Billy H.
I thought that ball was going to be off the wall at least. But no excuse for the dummy Jay. Fired a strike back into first too. Head's up play.